Drilling samples are taken from each end of the bullion bar and our assay laboratory does a miniature refining process on these samples to determine the exact precious metal content. 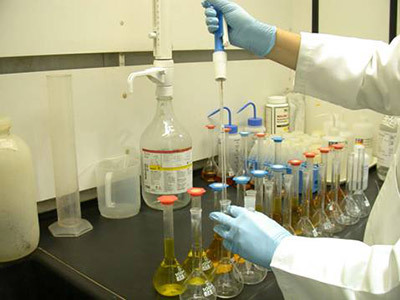 Our skilled lab technicians employ a combination of traditional fire assay, wet chemical analysis, atomic absorption and spectrophotometry techniques to determine precious metal content. Your settlement is determined by the result of these assays.